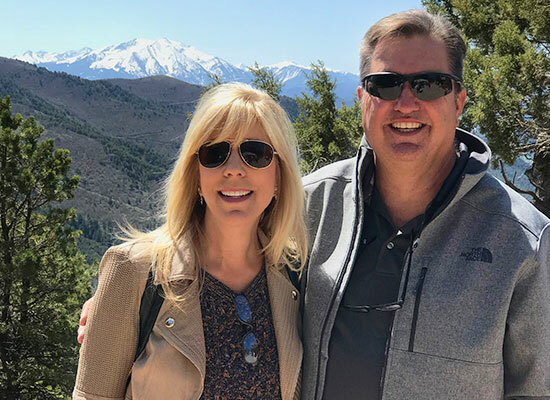 Linda is retired from the Escambia County School District (Pensacola, Florida) as the Executive Assistant to the Superintendent and now does full-time mission work. Reimagine Worldwide is a project of Doers of the Word Ministry, a 501(c)(3) organization that began in 2008. The ministry is heavily involved in Pensacola and the surrounding area, as well as in the country of Peru. Linda and Greg review documents as they prepare construction for another pre-fabricated home in Santa Rosita. Linda greets a few of the women from Santa Rosita as they prepare for a day of ministry. Linda dances with one of the children as the team plays music for the community. 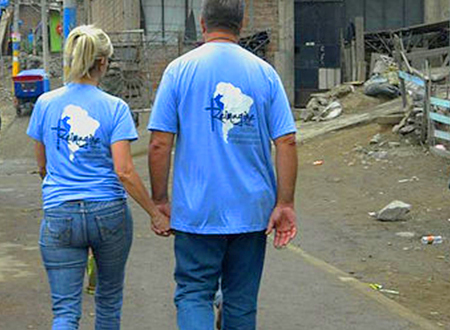 Greg and Linda walk together to visit a family in Santa Rosita.